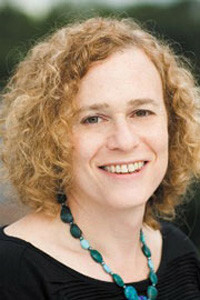 Joy Ladin speaks in conversation with Rabbi Mike Moskowitz on her new book, The Soul of the Stranger: Reading God and Torah from a Transgender Perspective. As part of the ongoing programming for Trans Jews are Here: A Convening, this event is offered free of charge to all those registered for the convening. We ask for an $18 contribution from all else who wish to attend this event. All contributions support the convening and ongoing Trans Jews Are Here programming. This event will be livestreamed. There will be seating sections available for individuals who do not wish to be visible on the livestream.